As a WBENC-certified business, MarketPro recruits diverse marketing talent for all types of clients, in all Seattle industries. From marketing staffing to executive search, and RPO, we work with marketing talent needs of all types. MarketPro has an extensive network of qualified marketers, including SEO, email, digital, and content. Whether you need one marketing expert or a dozen, for several months or several years, we will work alongside you to construct the best strategy for your unique needs. 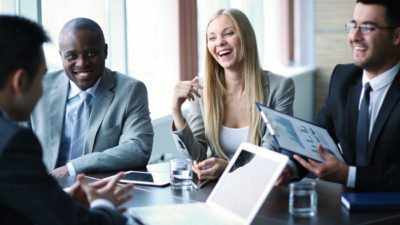 As a preferred top Seattle marketing staffing firm, we have established a long history of delivering results and bringing a unique perspective to our clients. Our veteran marketing staffing recruiters exercise their expertise and experience to bring together an extensive network of highly qualified marketers. As former marketers, we understand the necessary skillset needed to reach your business’ full potential and move forward in the competitive Seattle marketplace. The economy is always shifting in new directions, in return you may require specific expertise for each new emerging factor to move your business forward. Our Seattle marketing staffing services enable you to size your staffing team as needed, bring in expert digital marketers for a project, or special expertise from lead marketing strategist for unique campaigns. No matter where they are or what they’re doing, MarketPro recruits the absolute best marketing candidates for you in a variety of disciplines. Execute your projects and campaigns with top Seattle marketing staffing talent! Our marketing executive search services bring you talent for all kinds of disciplines. Whether your needs call for a lead digital marketer, experienced marketing researcher, or an expert in SEO, we can help with Seattle marketing executive search. We know how to garner the attention of top executive talent in the Seattle area in a way no one else can. Find the right marketing leader for your Seattle-based business! At MarketPro, we’ve learned that the most desired candidates are rarely looking for work. They are happily employed and thriving. Top candidates also hate getting calls from recruiters who have no idea about their roles. To be a great Seattle marketing headhunter you need the right mix of marketing expertise and natural grit. MarketPro’s team is exclusively comprised of former marketers, and that gives us the opportunity to engage with and vet talent at a level not possible by a recruiter who lacks real marketing experience. Before you get to the candidate evaluation process, you have to get top talent to talk to you. When MarketPro reaches out, the talent knows we are marketing professionals and wouldn’t waste their time with a role that isn’t for them. Simply put; we can engage top talent while others can’t even get their call returned. Now our expertise in marketing can really shine as we separate the best from the rest with our unique and thorough vetting process. The best candidates won’t be found by sifting through online resumes or incoming applications. So when only an ideal candidate will do for your senior level marketing, digital or creative role, MarketPro is your best bet for bringing in the best. Our network, which has been built over our 20+ years in business, of high quality talent in marketing, e-commerce, creative and digital fields makes us uniquely qualified for marketing headhunting in Seattle. MarketPro’s experienced Seattle recruiters will work closely with you to design a solution to fit your unique needs. With marketing staffing and RPO, you’ll have the flexibility and high scalability of an interim marketer. Whether you need contract to hire staffing arrangements, an interim marketing executive or one or a dozen marketers, we’ll adjust to your needs! Seattle is one of the nation’s fastest growing cities which has proven to be a leader in today’s biggest industries. What was once a logging industrial city, Seattle has transformed itself into a technological center. This city also serves as a major gateway for trade with Alaska as well as for Asia through the Port of Seattle and its international airport, Seattle-Tacoma International. With such high rank in the tech industry, Seattle continues to attract businesses and residents alike as it is also the number one American “smarter city”. A high concentration for green technology can be found in the Washington state city. With a strong economy to back up its green building and clean technologies, the city is home to both established and startup businesses. Very large companies including several Fortune 500 companies are headquartered here, like Amazon, Starbucks, Nordstrom and others. Industries in retail, internet and tech, biotechnology, healthcare, shipping, service and design are top attractions for marketers in digital, research, content, social, brand and SEO. Seattle’s many strides have not gone unnoticed as Forbes has ranked Seattle in the top 10 cities for business and careers as well as business expansion. Although the city has such high appraisal, businesses face challenges when attracting top marketers because of Seattle high cost of living. Allow MarketPro to attract top marketing experts to your business. We’ll search nationwide to match your company with an expert marketer aligned specifically to your vision.